I have visited a torture chamber. It’s in Phnom Penh, Cambodia. It’s called Tuol Sleng, or S-21. The Khmer Rouge used this former school as a place to torture people into giving them information. Once they tortured them, they killed them and buried them in killing fields scattered throughout the country. I’ve been to one of those killing fields twice (in 1989 and 2004), at Choeng Ek, on the outskirts of Cambodia’s capital city. One of the more commonly used torture methods was a then little-known tactic called “waterboarding.” The Khmer Rouge goons would drench the captives’ heads in water, giving them a sense of drowning — and then stop. Then they would do it again. And again. The Cambodians all called the technique torture. A tribunal right now is trying one of the late Pol Pot’s henchmen for crimes against humanity. 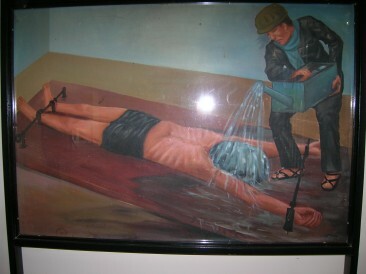 One of the crimes was the use of waterboarding as a torture technique against helpless Cambodians. Many in this country consider waterboarding an acceptable method collecting information from “enemy combatants.” Then-President Bush declared that “this country does not torture.” But it did waterboard people in U.S. custody. From what I’ve seen at that torture chamber on the other side of the world, waterboarding is a torture device. It is a hideous, ghastly method of interrogation that goes far beyond your run-of-the-mill sleep deprivation and smoke-filled room with a swinging light bulb hanging from a ceiling. This country is better than that. I’m still steamed over Gov. Perry’s implied threat of secession. Thank you, my fellow Texans, for turning out on this glorious day to rally against the government’s free-spending ways. I see some signs out there saying things like “Secede Now.” You might think you want to pull out of the greatest nation on the planet. But remember, we did that once and look what happened. The nation fell into a Civil War, the bloodiest conflict in American history. Look, folks, I know you’re upset with the president’s policies. Same with Congress. You’re angry at the bailouts. But secession creates many more problems for us than it solves. We need to stand together, one nation united, to change the policies we deem to be inappropriate. I plan to call President Obama right after this rally and express my concern — and my support for him and his efforts to right our ship of state. That’s what good Americans ought to do. Unlike some of the blowhards in my party, I don’t want the president to fail, for that would have dire consequences for the nation. Secede from the greatest nation on Earth? You gotta be kidding! No, the answer lies in working with the federal government, not against it. But our governor said nothing like that. Instead, he tossed out all that red meat to the crowd. And to those who think he misspoke: That was no gaffe. A tough re-election campaign is coming up over the horizon and the governor is energizing his base. Gov. Rick Perry has said something out loud that has shaken the rafters of the nation’s political establishment. He suggested, hinted, implied — but never really said outright — that Texans might be justified if they wanted to secede from the United States of America. He was talking the other day at Austin’s “Tax Day” rally, the one ginned up by conservative critics of the Democratic-controlled Congress and the White House, which is now occupied by a Democratic president. Here is what is being lost in all the hoopla over Perry’s ill-considered remarks: The governor is a conservative Republican. Hasn’t it been Republicans — particularly the conservative folks — who have been calling liberal Democrats “unpatriotic”? Yet this governor has suggested in a none-too-subtle fashion that if Texans get riled up enough over federal tax policies that they might commit a treasonous act by pulling out of the United States. To be fair, the governor is not endorsing such an act — he said. But fomenting such feelings among his constituents smacks of being, well, rather un-American. Back in the 18th century, it was true. The colonies were being taxed to the hilt without being able to exert the slightest bit of infuence. Today, it’s different. We do have representation. Whether you like how you’re being represented, though, is another matter. Amarillo played host to at least two of these Tax Day “tea parties.” Many folks here don’t like President Obama’s tax policies, which is no surprise, given that the Texas Panhandle voted overwhelmingly this past November for the other guy, Republican John McCain. What’s more, the Panhandle’s two congressmen, Mac Thornberry of Clarendon and Randy Neugebauer of Lubbock (whose district includes some southwestern Panhandle counties) have voted against Obama’s tax-and-spend plans. So, the folks at the “tea party” rallies here can claim with a semi-straight face that they’re being taxed without their approval. But let’s remember: Elections have consequences. The Panhandle’s wishes weren’t followed in the election this past November. The rest of the country voted decisively for Obama — and in the process endorsed the message on which he campaigned. No, many folks here don’t like what happened. But we, as a nation, have the representation in the White House and on Capitol Hill that the majority said they want. Contrary to popular opinion, the Amarillo City Commission doesn’t conduct the meat of its business in a star chamber. It has a “work session.” It’s also open to the public. The commission, all five of whose members are seeking re-election this year, meets in a small conference room on the other side of the wall from the commission chambers. OK, so it’s not a spacious room. A conference table gobbles up most of the space in the room. But it does have about 10 chairs lined up along one wall. Residents can attend the open portion of the meeting, where commissioners and the mayor get briefed by senior city staff, led by City Manager Alan Taylor. The work session, as its title implies, allows commission members to work out the nuts and bolts of topics to be voted on during the business meeting that convenes at 3 p.m. every Tuesday at City Hall. These work sessions convene usually around 2 p.m. on commission meeting days and last until just prior to the start of the regular meeting. And, yes, they do it in the open — just as if they were in the chambers, with the mayor calling for votes and wielding the gavel. These work sessions just happen to be a well-kept secret. Maybe now, though, the secret is out. I’ve struggled for years over how I feel about Texas’ standard for determining whether public school students are performing adequately. But I am beginning to understand a couple of things about the Texas Assessment of Knowledge and Skills. One is that it has a life of its own, given that teachers, parents and certainly students all seem to hate it universally. You can’t kill this thing. Another is that a statewide standard might not work in a state that is as huge and diverse as Texas. Panhandle students bear no resemblance to their peers in, say, the Valley or the Piney Woods. State Sen. Kel Seliger of Amarillo is among a number of lawmakers trying to find a solution to TAKS, which only is the latest name in a string of standardized state tests mandated over many years by the Legislature. But this attempt at change is falling short. Legislators cannot seem to agree on the best alternative to TAKS or whatever name it might assume in the future. Here’s a thought: Form a blue-ribbon commission. Flash back to 1983. A Dallas businessman, H. Ross Perot, popped off about how Texas was more interested in producing blue-chip football players than graduating students with diplomas worth a darn. Then-Democratic Gov. Mark White then said, in effect: OK, Mr. Smarty Pants, if you have all the answers, then why don’t you head a governor’s blue-ribbon commission to reform the way we educate our kids? Perot called White’s bluff and led the Perot Commission, which produced dramatic reforms that led to a special legislative session that crafted House Bill 72. 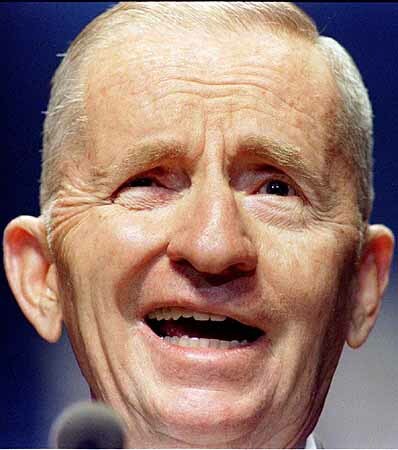 I had the honor of meeting Ross Perot during one of his barn-storming tour stops, in Beaumont, in mid-1984. Take my word for it: For a diminutive guy, he has a way of commanding a room. Well, this might be time for such a commission. If we’re going to keep nibbling around the margins of improving standardized tests, then we’ll never get the job done. U.S. Sen. Kay Bailey Hutchison may have given her likely chief Republican gubernatorial opponent next year some campaign ammo. Hutchison came to West Texas A&M University this week to promote a federal grant to help WT pay for redeveloping a former hospital into research and development offices. But, durn it, she referred to the school several times by its former name, West Texas State University. 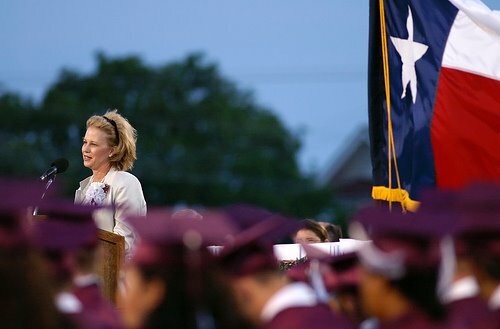 If we fast-forward to, say, January 2010, we can imagine Texas first lady Anita Perry — who graduated with a nursing degree from WT before it joined the A&M System — speaking to a rally at the Courthouse Square while campaigning for her husband, Gov. Rick Perry. Could the campaign get so cheap and cheesy as to lampoon Hutchison’s relatively minor faux pas? I am about to curse the Internet, even though these words will be read exclusively on it. An e-mail dropped into my in-box the other day from an Amarillo resident. It contained a video of one-time Illinois senatorial candidate, Alan Keyes, who trotted out the right wing’s canard questioning whether President Obama is a real American. Keyes — who lost to Obama in the 2004 U.S. Senate race in Illinois by 43 percentage points — questions whether the president is legally qualified to serve and wonders whether he was born in Kenya, the home country of the president’s late father. I responded to this acquaintance, calling Keyes a “brilliant lunatic.” I then told this gentleman that Obama’s citizenship isn’t an issue. The Secret Service had done its homework on the man and determined that he was born in Hawaii, in 1961, just as he has said. Obama’s citizenship isn’t an issue, no matter how much his enemies seek to make it one. Then he told me about an Internet video purporting to show the president’s paternal grandmother — “not the white one,” as he called her — saying how she was present at baby Barack’s birth in Kenya. My acquaintance said he is unsure about the video’s veracity and wouldn’t claim it to be totally true, yet it’s out there for all the world to see, he said. I should judge for myself, he added. I do not need to troll the ‘Net looking to validate these rumors. Their sources’ sole intent is to destroy the presidency of a man they detest. We’ve been down this road already many times throughout history. I will rely on what what I believe is a solid position: The Secret Service no doubt has heard these claptrap rumors about Barack Obama and has checked them out. I am convinced beyond any doubt that the crack security arm of the Treasury Department would have blown the whistle on Obama had it discovered any truth to the rumor that the president is unqualified to serve based on his citizenship at birth. But that won’t stop the goofball bloggers and the ‘Net surfers who believe only those things that suit their philosophy. They, just like our Amarillo resident, will send them through cyberspace hoping against hope that someone will prove that the Obama rumors are all true. Me? I’ll stick with the findings of the spooks who comprise the nation’s vast intelligence network who confirm the actual truth, which is that President Obama is being pilloried by liars — who are enabled by the Internet. It only took 70-some days for the following complaint to come in. The newspaper’s editorial cartoons are too harsh, too tough, unfair and demeaning to President Obama — or so says a reader. Is this Groundhog Day or what? Didn’t I just go through an eight-year running battle with readers who said the same thing about the cartoons we ran that lampooned President Bush? The reader took serious exception to the cartoon that ran in today’s paper. As you can see, it shows Michelle and Barack Obama offering a “fist bump” to Queen Elizabeth. “At best it is in very poor taste; at worst it is a mean-spirited racial slur against the president of the United States and his wife,” my letter-writing acquaintance stated. “I have instructed my secretary to call today and cancel my subscription to what I have lately referred to as the ‘Redneck Rag,'” he said. It seems that Democratic and Republican partisans have something in common after all: They hate it when “their guy” becomes the object of cartoonists’ humor. These cartoons go with the high office they occupy. I do not believe for a single second that President Obama is upset with this cartoon, any more than I thought that President Bush got hot and bothered over the cartoons that lampooned him. These folks run for office expecting to be blistered by cartoonists. And so, the argument with hyper-sensitive readers goes on. West Texas A&M University might find itself being criticized unjustly. Then again, it might not. 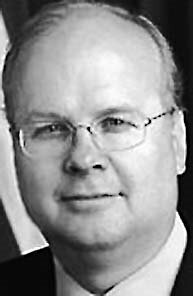 WT has invited former Bush administration political guru Karl Rove to be its featured speaker next month just ahead of the university’s commencement. Rove, known as the mastermind of President Bush’s two victories in 2000 and 2004 is either a shining light or the Prince of Darkness, depending on your point of view. He is a controversial figure. His allies revere him. His enemies loathe him. It’s the enemies who will might make their feelings known more vociferously. I have this word of advice: Let the man speak. Whether one agrees with Rove’s politics, he is of enormous consequence. WT is right to bring someone of Rove’s political heft to the Panhandle, where it would figure that he would have many more fans than foes. His candidate, after all, did win more than 75 percent of the Panhandle’s vote in two presidential elections. A source at WT told me this morning that she’s heard no expressions of support, only the faint rumblings of discontent. Karl Rove is set to speak to some newly minted college grads. He deserves to be heard. If he says something outrageous, then he’ll be taken to task for it. If he imparts wisdom worth taking out into the world, then the students will owe him a debt of thanks — and WT officials will have done their job.